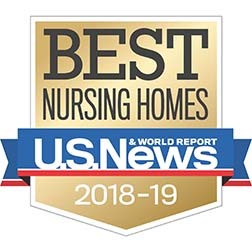 CHI St. Alexius Health Garrison Nursing Facility has been recognized as a Best Nursing Home for 2018-2019 by U.S News & World Report. This is the first time CHI St. Alexius Health Garrison has received this national recognition. The annual Best Nursing Home ranking is designed to help you find the best nursing home for your loved one. “It is an honor to be recognized as a Best Nursing Home by U.S. News & World Report. These rankings acknowledge the outstanding care that our staff delivers to our residents each day,” said Tod Graeber, administrator of CHI St. Alexius Health Garrison. For the 2018-19 rankings, U.S. News evaluated more than 15,000 nursing homes and short-stay rehabilitation facilities. U.S. News recognized nursing homes as high performing across multiple areas of care. The U.S. News Best Nursing Home methodologies in most areas of care are based on evaluations such as medical quality, nurse staffing, health inspections and rehabilitation therapy.